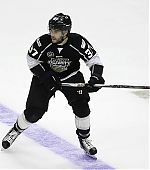 I’ve just added some photos from last summer when Taylor attended the Toronto International Film Festival, as well as a few photos from yesterday when he participated in the NHL All-Star Celebrity Shootout during NHL All-Star Weekend. 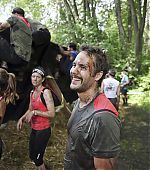 Last week, Taylor was reunited with a few of his Friday Night Lights co-stars to do the Spartan Super Race and I’ve added high quality photos from the race into the gallery. 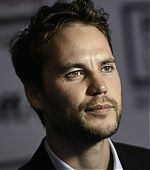 We chatted with Taylor Kitsch about his New Year’s Eve Rock the Brazos benefit in Austin, what he loves most about Austin, and why he doesn’t believe in making New Year’s resolutions. 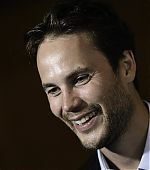 Taylor Kitsch is once again throwing a New Year’s Eve party in Austin to support his favorite charity, and it promises to be one of the best events of the season. “It’s very Austin-esque, in the best way,” Kitsch says. Rock the Brazos, held at Brazos Hall, will feature and support the African Children’s Choir, which the True Detective star has been passionate about since his first visit to Africa years ago. Austin Way spoke with Kitsch about why this cause is so important to him, what’s coming up in the new year, and why Austin has been a true home to him since his Friday Night Lights days. You’ve worked with the African Children’s Choir for years. Why is this group so important to you? 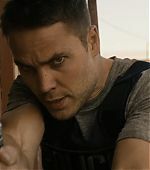 TAYLOR KITSCH: Unfortunately, there’s a stereotype toward these kinds of things, and how dire it is over there. [You think] you can’t really help. I’ve been a huge advocate of these guys ever since [my first visit] because you really do see that you can make a difference. I’ve been a huge advocate for them and what they stand for and how they run their organization. I love kids, and the energy these kids have is unlike anything else. They’re so open and so free when you meet them, even through these circumstances. There’s a four-minute video I did on YouTube of what the African Children Choir does… Obviously it’s really dire, but it goes back to how happy these kids were to be able to go to school, be able to eat every day, be able to have the transportation to get to school. How does the African Children’s Choir use the money you raise? TK: For everything—food, paying the teachers. At a lot of the public schools, the teachers don’t get paid, so you’re going to get the best teachers as well. Their university is paid for, and they help their families as well through meds and education. It’s all about the one kid who has the opportunity to make a difference, to go to school, to get a job, and elevate this family to a potential where they can co-exist and try and get healthy, and give themselves the chance to move forward. This is your third New Year’s Eve party, but at a new location. What can partygoers expect this year? TK: I never really had a solid New Year’s; it was always a lot of hype where you pay $200 and you just go to a club or a bar. I pitched this party [to the African Children’s Choir] and said, “Let’s take a swing at this.” It’s not formal—I just want good energy there, and we’ve been fortunate enough to have it the two times we’ve done the party. If anything, we’re going to have a great time, we’ll wake up with a hangover, true, but at least we will have started the year by making a difference, and your money went to something great rather than just a bar. 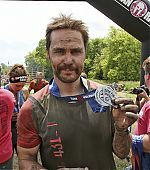 I guarantee you’ll be inspired, and Rob [Thomas] is just fantastic. We’ve got Sting’s guitarist coming with him, and it’s just a really great show. Obviously, the kids will come out and do their thing. When you have these 8- and 9-year-olds that come from nothing, it’s just great energy. How did Rob get involved? TK: We’re very close friends. I met him in New York on the set of Savages. He and his wife Mari are really amazing people. I’m pumped for them to get here. 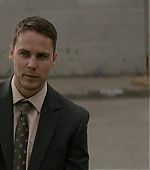 Your career has exploded since Friday Night Lights; you could make a home anywhere. Why is Austin so special to you? TK: It’s the people, the vibe. Austin allows me to prepare the way I want to prepare. It really reminds me a lot of where I grew up. There are no ulterior motives when you meet people, and that’s a huge thing. You can have a quote-unquote regular existence. I’m building a home on Lake Austin right now, and hopefully I’m here for good. It goes back to just centering yourself before you go and dive into whatever job’s in front of you. And that next job for you is Xavier Dolan’s The Death and Life of John F. Donovan? TK: Yes, Xavier and I have been trying to collaborate for a while. I met him for the first time in Toronto years ago. He had won at Cannes and there was—and still is—a large amount of buzz around him. He’s a talent. He sent me this and said, “I know it’s not the craziest, biggest role, but I can’t imagine anyone else doing it.” I’m excited. What I’ve loved so far is just collaborating with him. I usually come in with a strong opinion of who these guys are… hopefully we won’t want to kill each other by the end of it [laughs]. Are you a New Year’s resolution guy? Do you have any for 2016? TK: I’m going to lose 50 pounds, I’m going to speak four languages, and I’m going to play the guitar [laughs]. Actually, I’m not a big [resolutions] guy. Hopefully, you’re living your life the way you want to, and you don’t need the kickoff of a new year. Whatever works, though. I think you just set yourself up for failure. There has to be a stronger motivation than a calendar year for you to see something through. 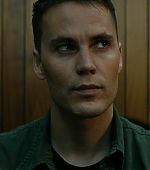 Taylor Kitsch is joining Jessica Chastain, Kit Harington, Susan Sarandon, and Kathy Bates in the cast of Xavier Dolan’s The Death and Life of John F. Donovan, EW has confirmed. The project will be Dolan’s first English-language feature film, one that Adele (whom Dolan directed in her smash “Hello” music video) is also reportedly in talks to make a cameo. Harington is set to play the title role in the drama, while Chastain is said to be playing the editor of a gossip magazine. Production is set to begin in the spring. 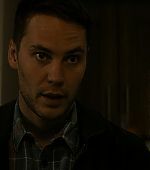 I’ve just added screen captures from episodes 2-6 of True Detective into the gallery.